For that extra layer of security and comfort. Do you need a car locksmith services? Your vehicle is one of the most important pieces of property you own. It gets you to and from work, transports your kids to and from soccer practice, and is your all around means of transportation. But what happens if your key breaks off in the ignition? What about if you lose your keys and can’t get into your vehicle? Or worse, what if you lock your keys in your car? You need an auto locksmith. Our team of automotive emergency locksmith professionals here at Chiko’s providing fast and hassle free service. We also provide commercial locksmith services as well. 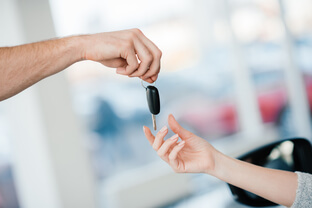 We also offer some of the most competitive rates in the area, so you never have to worry about being charged outrageous fees for something simple like being locked out of your car. 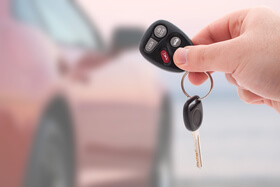 One of our more in-demand services we provide is car lockout service. Our team will take the time to get you back into your vehicle without damaging your property. As an auto locksmith company, we know precisely why it’s so important for you to get back inside your car quickly. Our promise to you is to get the job done quickly and without any hassle on your part. When you need a professional locksmith for cars and more, turn to us. 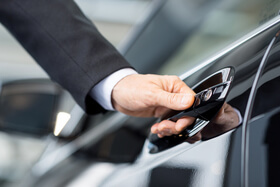 you’re searching for a locksmith for your vehicle in the Washington D.C. area, we want to be your locksmith. Of course, you may be wondering if we can actually help you—particularly if you have a unique brand of vehicle. The good news is, there is virtual no brand of vehicle that we cannot provide locksmith services for. No matter what model you have, our team has every bit of technology necessary to solve any locksmith issue you may encounter. You can call us with confidence knowing that we can effectively reverse your situation and do it quickly. Pick up the phone and let us know what your issue is and we’ll let you know what it will take to get you back on the road. By far, emergency services are one of the most important vehicle locksmith services we provide. When you’re on the road and your key breaks off in the ignition, what are you going to do? If you’re in the Washington D.C. and Maryland area, you should call Chiko’s Automotive services. Our emergency locksmith services are available 24 hours a day, 7 days a week. Our team typically arrives within just 15-20 minutes of your call. We strive to never leave you on the side of the road without a way to get back in. No matter your car’s make or model, we can and will arrive on time when you need us. 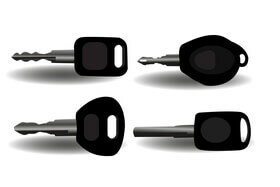 We also provide car key replacement. Our locksmiths can create a replacement key for your vehicle, for virtually all makes and models, quickly without any car key code needed. If you’re locked out of your vehicle or just want a spare key for your car, we have the tools and skills to get the job done. Additionally, we also provide ignition switch repair and key extraction for your trunk and doors. Our team can install new keys or remove broken keys quickly and for a reasonable rate. Instead of paying the high rates for towing your vehicle, you can use our affordable locksmith services. Above all, we pride ourselves on delivering fast and friendly service to each one of our customers. 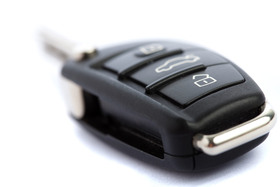 Our vehicle locksmith services are designed with your needs in mind. That means we believe in arriving on time when you call us. That means we take our work very seriously. That means we strive to provide competitive rates for our services. 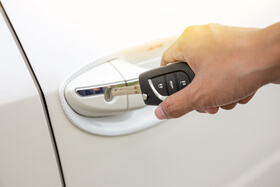 If you’re looking for the friendliest, most experienced, highly skilled and reasonably priced automotive locksmiths in the Washington D.C. and Maryland area, then choose Chiko’s Locksmith service.